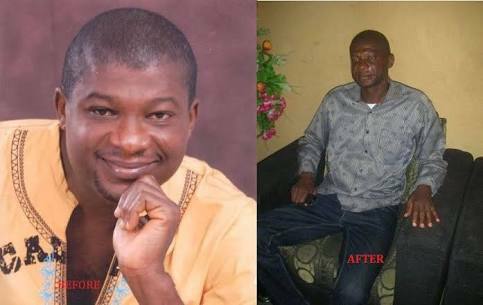 Popular Nollywood actor and producer, Friday Ugwu, famously known as Okaka De Don is dead. Ugwu, who is also known as DJ Kross died last night in a fatal road accident along Lagos – Badagry Express road in Ojo. The actor, DAILY POST gathered was riding with his friend when a trailer lost control and ran over them, crushing them to death on the spot. Confirming the sad incident, an official of the Actors Guild of Nigeria, Benue State chapter, Gideon Ameh said his corpse has been deposited in a mortuary in Lagos while the driver of the vehicle is currently cooling his heels at the police station. Ugwu, a native of Orokam in Ogbadibo LGA of Benue State came into limelight when he produced and played the lead role in the movie entitled Okaka De Don many years ago. He also produced the popular comedy series, Pintolo.